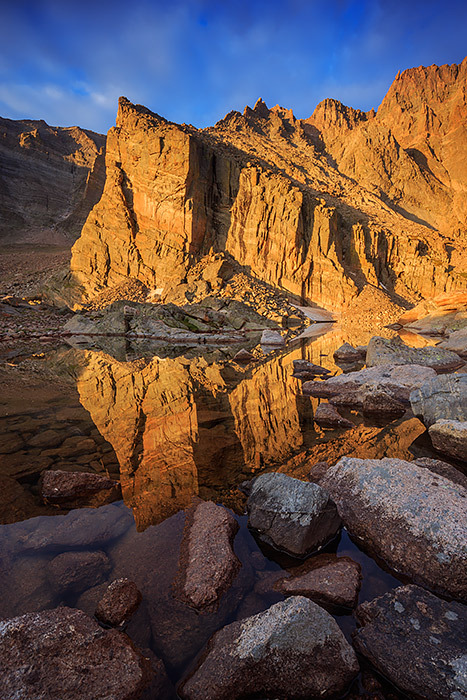 Just below Longs Peak and along the shores of Chasm Lake lies a rock formation known as the Ships Prow. Popular with climbers, this impressive piece of granite looks even more formidable reflecting in the waters of Chasm Lake on a beautfiul calm morning above treeline. Photo © copyright by Thomas Mangan.